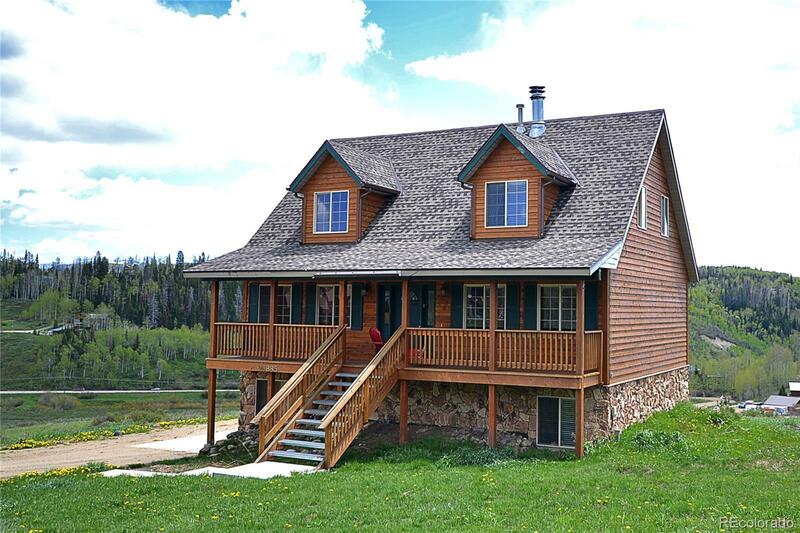 Located in the quiet expanse of Steamboat Lakes and Willow Creek Pass north of Steamboat Springs, you'll find this adorable single family home with upgrades. Some of the highlights of this property include a double sided wood-burning fireplace that enhances both the living and dining rooms. Surrounded by a porous stone embellishment, the warmth from the centralized hearth can nearly heat the entire home. The kitchen is designed to be long and large. With stainless steel appliances and plenty of counter and cabinet space, the room receives tremendous morning sun and natural light throughout the day. A spacious main level deck is accessed from the back of the house and lends well to blissful relaxation with endless southerly views. The main level living room is as cozy as it gets and the bedroom on this level is well appointed. The upstairs master suite is an escape unto itself. Featuring tall ceilings and expansive square footage, here you'll find room for a king sized bed.